We’re located between West Houston Street and Bleecker Street. Go to the ground floor and down a few steps. Following a series of clues, you’re led to believe that this private collection of books was home to a more sinister deed. Your team of detectives will need to act fast as the structure shakes from its old age. As you enter the forgotten library, you will have an hour to uncover the mystery hidden in the space. Will you escape or will you become a relic of the past, becoming forgotten yourself? 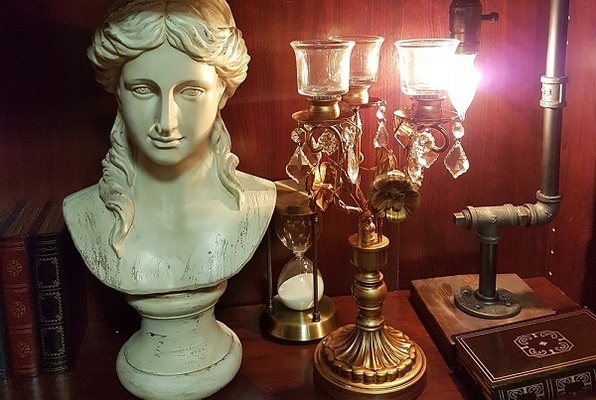 Reviews of escape game "Chapter 4: Forgotten Library"
We had a blast! If you're looking for a room that a 12-year-old (and older) can solve, the Forgotten Library is perfect. Our 12-year-old was totally into it and did a great job solving the puzzles. We were worried it would be too hard for the kids and nobody would have fun. Full disclosure: our 10 and 7-year-olds were lost and therefore, worthless solving the puzzles. Highly recommend this for team building/group events. Our cluemaster was very friendly and set up the game very well. The clues and challenges were so well done and lots of surprises built in that were a lot of fun. 10/10 would do again. I am ready to try out the other rooms in the city! The Library room is located downtown which was convenient for our group. The game was a lot of fun and perfect for a group of 6-10 with lots of varied clues and perfect difficulty to just escape with a few minutes left. It's an excellent team building activity that requires teamwork and thinking creatively to succeed. If you get really stuck, the staff can give you several clues during the course of the hour.